Three of the best things in the world are dogs, beaches, and the Lone Star State. 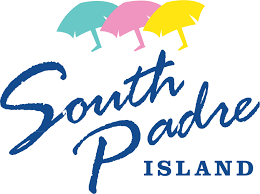 If you’re looking for a fun and affordable way to combine all of the above, it’s time to start planning a trip to South Padre Island. The Island is home to Texas’s best beaches, the world-famous Schlitterbahn waterpark, a sea turtle rehabilitation center, and some of the most elaborate and photogenic sandcastles you can imagine. It’s a true Texas highlight, but it’s not just a great destination for two-legged visitors — you can bring your four-legged friends, too. We’re talking hanging with Fido at the beach, dining on special doggie dishes, and SUPing all in the same day. So grab your leash, grab your pup, and hit the road — here’s how to experience South Padre Island with your dog. There are plenty of options on the Island for you and your furry pal to crash. Pearl South Padre, a top-rated, pet-friendly resort, has a massive pool with a swim-up bar and restaurants overlooking the water, making it an awesome place to enjoy some fresh seafood before playing catch on the beach. Another popular resort, the Isla Grand, welcomes pets under 50 pounds at the hotel’s prime oceanfront location. And if you’re looking for a budget-friendly option, La Quinta offers great rates and is still just steps away from that water you know your dog is longing to splash in. If a hotel isn’t your vibe, you can find plenty of pet-friendly vacation homes for rent. There’s everything from towering condos with sweeping views of the Gulf of Mexico to beachfront cottages that open straight up to the sand. Not to mention they often come with a little extra space for you and your fur babies to spread out and relax. When hunger strikes in the AM, start at the pet-friendly Cafe Karma for some gourmet coffee (it’s also a great place to return to in the afternoon for ice cream). Cafe on the Beach, at the Palms Resort, has a beautiful outdoor patio area and serves fresh seafood and wine for lunch. A solid option for dinner is PadreRitaGrill, a tiki-inspired restaurant where you can order up some serious seafood or prime rib off the human menu. That distinction is important, because they also have a doggie dinner menu with fresh-cooked meals, like chicken and rice, for your furry friends. 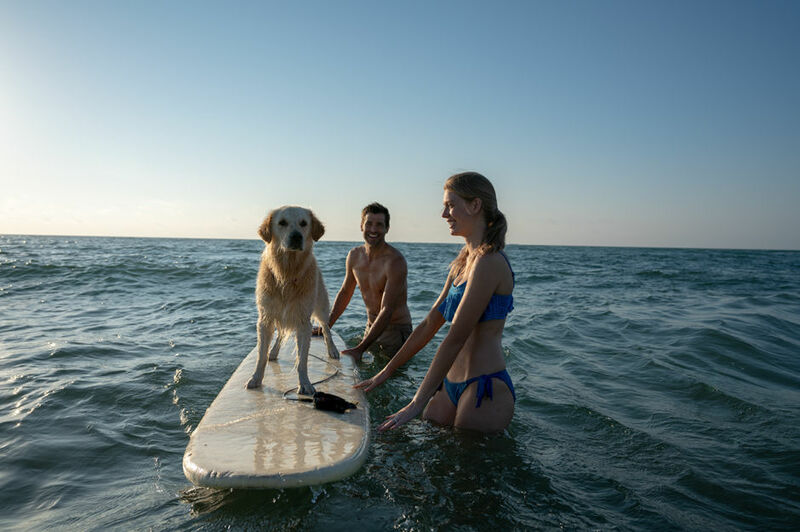 Other popular pet-friendly restaurants include Gabriella’s Italian Grill & Pizzeria, where your dogs can have a real Lady and the Tramp moment, and Coconuts Bar & Grill, where water-loving fools can rent a jet ski and hit the waves. Those happier on land can sit back with their pet, sip a tropical cocktail, and munch on a $3 burger (provided Fido is on a leash, of course). From Austin’s Lady Bird Lake to New York’s Hudson River, you’re bound to encounter SUPing (stand-up paddle boarding), if you haven’t already. Basically, you take a specially designed paddleboard out on the water, stand up, and paddle out. Do it right, and it’s also an opportunity to spend some quality time with your very best boy or girl. With Eh Brah Sup, a SPI-based SUP shop, you can take your dog out on the water with you. If you have experience on a board with your pooch, cowabunga! If not, you’ll want to spend a bit of time to make sure they’re prepared for their first SUP adventure. Get them used to the board in the sand, then try some practice paddles in shallow water to see how they react. Also, no matter how good of a swimmer you think they might be, never pass on the doggy life jacket — it also makes for an adorable snap for your IG (tag #PupsOfPadre!). Everyone thinks their pet is the smartest of them all, but on South Padre Island, there’s one dog that might give you a new perspective on canine intelligence. “Diesel the Dolphin Dog” is a working dog that joins in on dolphin tours with Fins to Feathers, a company that offers glass-bottom ecology tours of the area. Diesel, a rescue pup, can hear the dolphins under the water, alerting the crew so everyone has a chance to prepare to see the creatures surface. Be warned, Diesel’s pretty dang cute. Cue canine jealousy…or crushes. 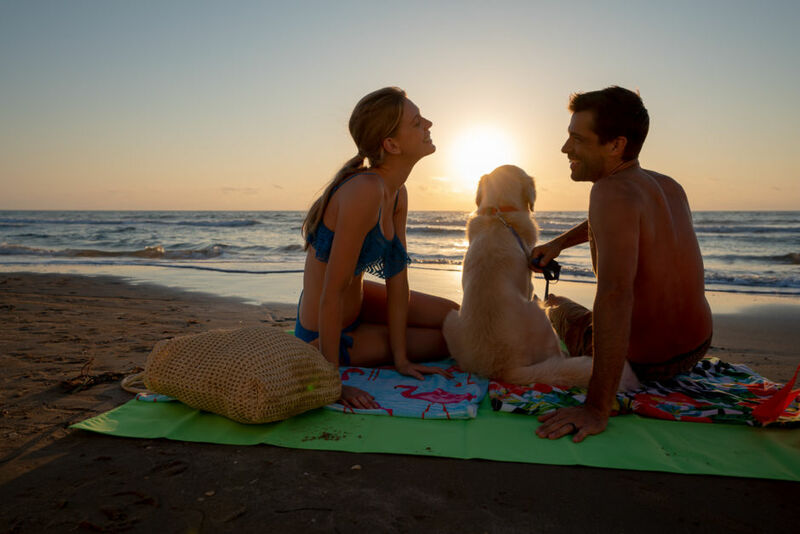 One of the best things you can do with your pet on South Padre Island is to simply spend some quality time on the beach together. The sand spans the east (or gulf) side of the Island — just choose from one of the many public access points and go. There’s nothing more fun for a dog than letting loose in the sand (there are dunes, too! ), playing tag with the tide, and soaking up the sun to relax. Just keep in mind: Saltwater can be hard on a dog’s stomach, so make sure you have plenty of fresh water available at all times. (This is also a good tip in the hot Texas summer!) Note the local leash law — you’ll want to bring a leash long enough for your dog to have fun and roam, but also to be contained, and you’ll need to use it when you’re on the Island. And though it should go without saying, please don’t be that person who doesn’t pick up after their pet. That just ruins the fun for everybody, and there’s plenty of fun to go around — for travelers two-legged and four — on South Padre Island.